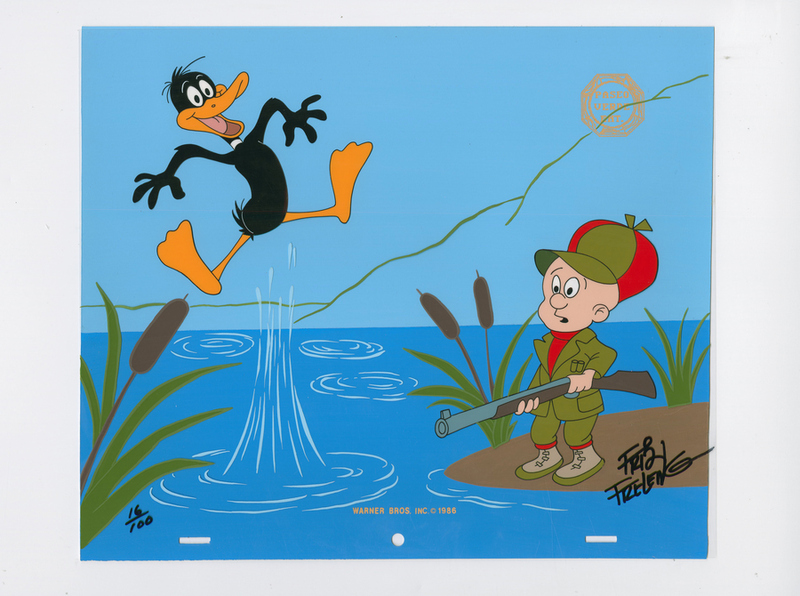 This is an original Friz Freleng Limited Edition featuring the classic Warner Bros. Studios characters Daffy Duck and Elmer Fudd. 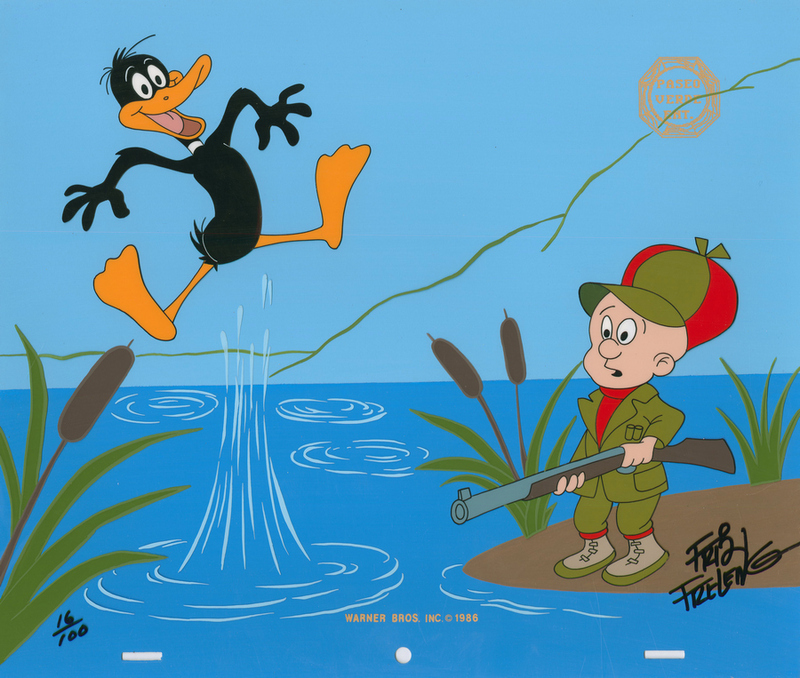 This Limited Edition was designed by Friz Freleng, is hand-numbered 16/100, and is hand-signed by Friz Freleng. This limited edition was released in 1986. 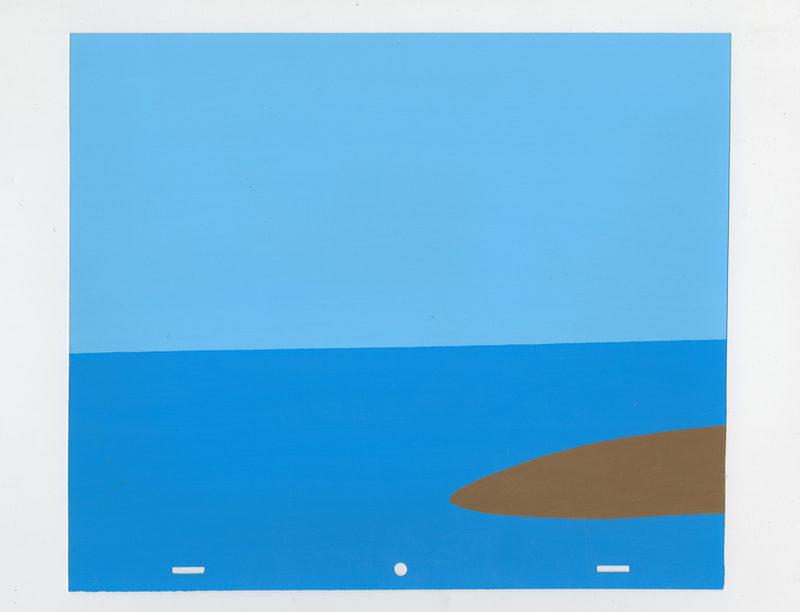 The overall measurements of the piece are 10.5" x 12.5" , paired with a color printed blue background, and the image itself measures 9.5" x 12".